The kingdom’s swimming federation is looking to increase resources towards coaching, training, and swimming facilities for athletes outside of the Cambodian capital. Speaking yesterday, Hem Kiri, Secretary General of the Khmer Swimming Federation, said that the Federation plans to restore old swimming pools in a bid to boost the number of athletes taking up the sport in three provinces; Sihanoukville, Siem Reap, and Battambang. He stressed that the three provinces that of Siem Reap, Battambang, and Sihanoukville are developing at a strong pace economically, and swimming should also benefit from the flow of cash into the provinces. “For all three provinces, the federation intends to accelerate development. The first step is to train coaches, and athletes, and restore swimming pool infrastructure,” he added. 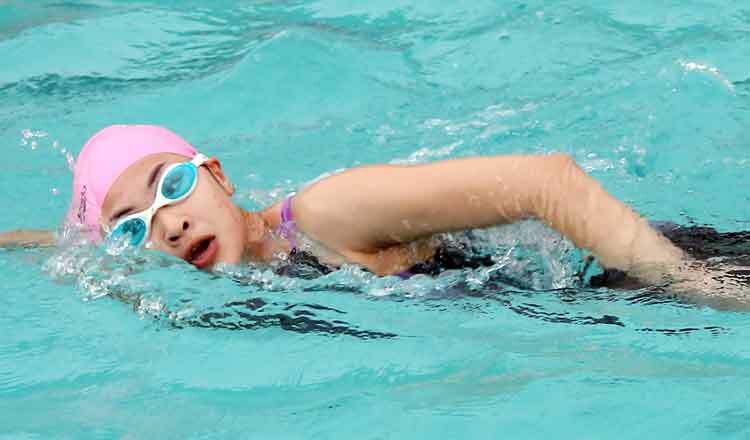 Phnom Penh will host the 43rd Sea Age Group Swimming Championships in June, while just last month, the federation said it is hoping to send its athletes for long-term training abroad ahead of the 2019 Manila SEA Games. Secretary-general Kiri said the federation was looking at sending five of its athletes for training in what is an important year for the sport. President of the Khmer Swimming Federation Sun Chanthol, who is also Minister for Public Works and Transport, said he is seeking for support from the private sector to help Cambodian athletes compete in training in China and Japan. According to the plan, the federation secretary said he seeks to send five athletes and a coach for training in Japan. The swimming federation is accelerating its training with the swimming pool at the National Olympic Stadium in Phnom Penh currently undergoing a $2 million renovation in a bid to improve training facilities ahead of Manila, and meet international standards ahead of the 2023 SEA Games. The Olympic Stadium swimming pool had been in use for over 50 years with little renovation. The renovation was begun last year by Shanghai Construction Group Co., Ltd, and is part of the overhaul of Cambodia’s sporting venues ahead of the 2023 SEA Games which will be hosted in Phnom Penh. Swimming athletes are already able to call upon the state-of-the-art Indoor Stadium and Aquatics Centre facilities within the Morodok Techo National Sports Complex. The 30th edition of the SEA Games will be hosted in Manila between November 30 to December 10 this year. At the Kuala Lumpur SEA Games in 2017, Cambodia won three gold, two silver and 12 bronze medals, surpassing the record it achieved in the 2015 SEA Games.